Despite most websites like rottentomatoes.com, meteoritic.com, and theguardian.com having rated the movie one to one and a half stars, Teenage Mutant Ninja Turtles has managed to land the number one spot at the box office. As someone that has seen the movie, I can honestly say “T.M.N.T” was an overall good movie. 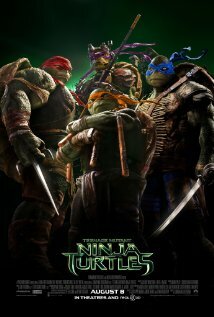 Tee nage Mutant Ninja Turtles is an action packed film that provides the audience a couple of good laughs and does an extraordinarily good job introducing the characters. However, when it comes to the story plot, it was anti-climatic, which recently has been typical of Micheal Bay films. In fact, most people that have seen the movie, including this reporter, described the movie as merely an extended version of a T.M.N.T cartoon episode. Overall, I recommend that you watch it with your family and friends to have some fun quality time together. If I were to rate this movie I would give it a solid 3 stars. Summary: T.M.N.T is about Master Shredder and his evil foot clan trying to take over New York City. He has connections with the police force and politicians, making it all the more thrilling and suspenseful. April O’Neil stumbles upon one of the foot soldiers and witnesses the Teenage Mutant Ninja Turtles in action then decides to join forces in order to stop and expose Shredder’s evil plan to the New York City citizens. IN LOVE WITH NINJA TURTULES <3!!!!!!!!!!!!!!!!!!!!!!!!!!!!!!!!!!!!!!! !